The Roman Gladiators by Park, L. & Love, T.
In which John Green explores exactly when Rome went from being the Roman Republic to the Roman Empire. Here's a hint: it had something to do with Julius Caesar, but maybe less than you think. Find out how Caesar came to rule the empire, what led to him getting stabbed 23 times on the floor of the senate, and what happened in the scramble for power after his assassination. Rome's expansion took hundreds of years, John just explains it in under 12 minutes. The senate, the people, Rome, the caesarian section, the Julian calendar and our old friend Pompey all make appearances, but NOT the Caesar Salad, as Julius had nothing to do with it. SOURCE: YouTube (2012) Duration 12:26 mins. 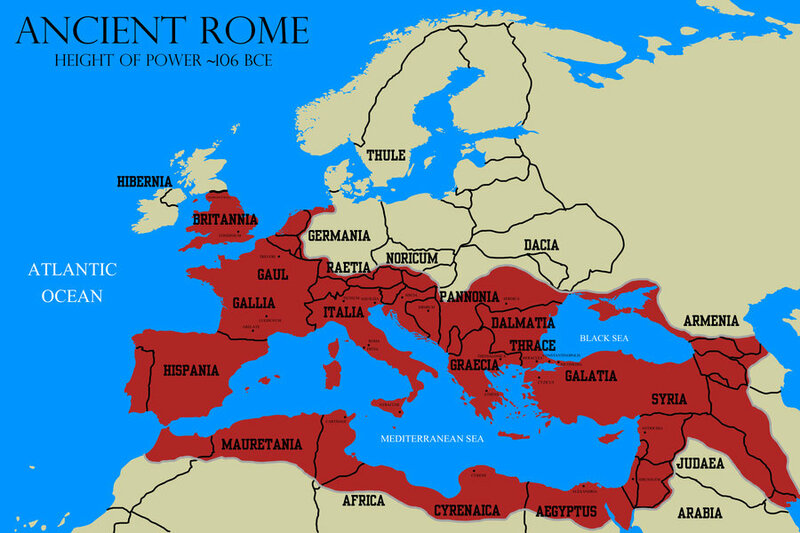 A Tour Through Ancient Rome in 320 CE. Smarthistory at Khan Academy: A project between Khan Academy and Rome Reborn - with Dr. Bernard Frischer. SOURCE: YouTube (2012), Duration 13:47 mins. A timeline displays at the top of this site. Provides links to each significant period in Rome's history.